This is part 2 of our article on the Sierra Club Centennial Group’s Meet the Candidates forum. 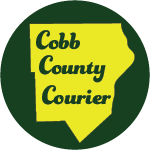 This part includes three candidates for the Cobb County Board of Commissioners. The final installment in the series will feature Dawn Randolph, the candidate for Public Service Commission who spoke at the forum. 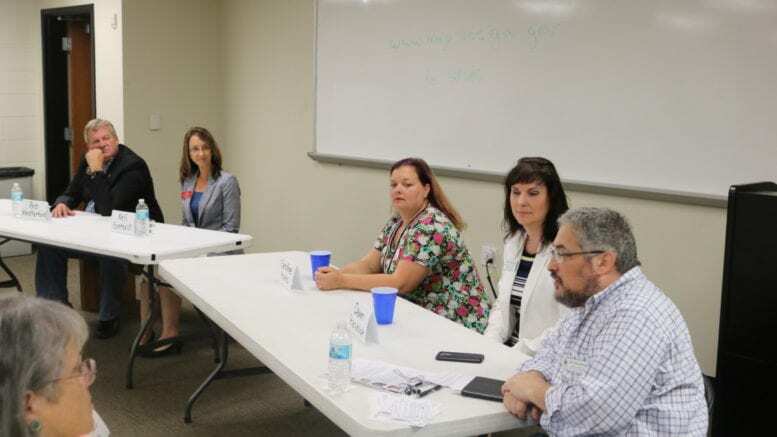 Three candidates for the Cobb County Board of Commissioners spoke to the Sierra Club’s Centennial group on Thursday, July 5. Moderator Jeff Schoenberg asked the candidates to tell the audience who they are, and why they decided to run in 2018. She said the final straw was when a wooded lot in her neighborhood was razed for three “McMansions.” “It’s probably been two years since I’ve seen a bunny rabbit in my neighborhood,” she said. She said Essence Johnson, a candidate for state House of Representatives, encouraged her to run, and that more women, particularly liberal women, should be running for office. Kelly Gambrill is challenging one-term incumbent Bob Weatherford for the District 1 seat. She and Weatherford are in a run-off election on July 24. Since no Democratic candidate ran in the primary, whoever wins the run-off will serve on the BOC. “We moved here in 2003 and asked what could be built behind our home. We were told, and then in 2005 a yellow zoning sign went up, and instead of one house we were going to have thirteen. That essentially got myself and my neighborhood involved, We made compromises, and agreements, and then development began and they were broken. When development started my yard turned into a lake … things that were supposed to be happening weren’t, so I became involved, and essentially got up in front of the board every public speaking hearing opportunity to say ‘Hey! You said you were going to do this … this is what’s happening .. fix it! '” she said. She became president of People Looking After Neighborhoods (P.L.A.N.) and was involved in advocacy involving Cobb’s 2030 and 2040 Comprehensive Plans, which set land use and zoning strategies for the county. “It’s difficult to provide as a county the different things that we have to provide. Until you get there you don’t quite understand it. I came from city government where I was Mayor Pro Tem of Acworth for years. We didn’t have to worry about the sheriff, the constitutional offices, the judges and the tax commissioner. The county has to provide a budget for all those elected constitutional offices. And most citizens don’t understand that, that 40 percent of our budget is taken away immediately and is given to those constitutionally mandated offices,” he said. Schoenberg said that the parks bond had been a priority of the Sierra Club in Cobb County for a very long time, and asked what would be done to address the $12.5 million shortfall from the original bond resolution. “That one has been fulfilled. The 2008 parks bond is more for greenspace. So as far as the further development of that, there are no plans right now for that. The question will be will it come forward in a future SPLOST. That’s uncertain, because again, that parks bond has different language than the ’06 one, so it’s more greenspace. Again it’s going to go back down to taxpayer dollars moving forward to turn those parks into something more than trees and shade. As far as money, my understanding is there’s language in the ’08 parks bond that is preventing us from fully funding it to the $40 million level,” she said. He said he supports buying land for greenspace. Schoenberg asked the candidates to make a simple declarative statement on the best route for figuring out what Cobb County needs in terms of transit. He said the plan is to put a referendum on the ballot in 2019, and that a one percent sales tax would bring in about $30 million. Schoenberg asked the candidates their positions on affordable housing. Be the first to comment on "Sierra Club Centennial Group Meet the Candidates (Part 2)"